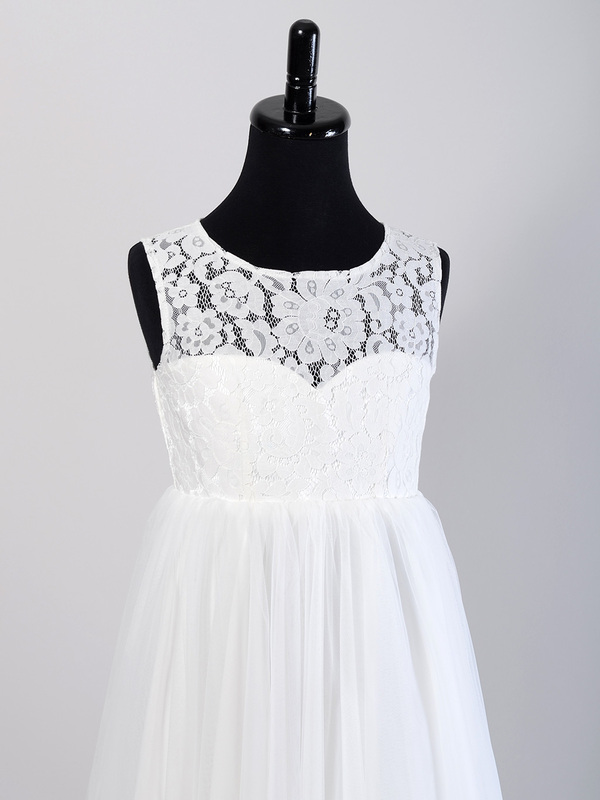 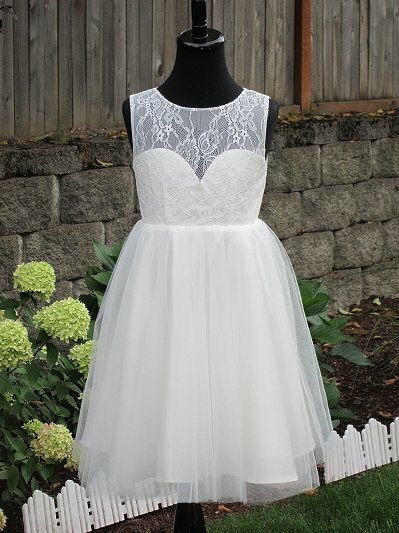 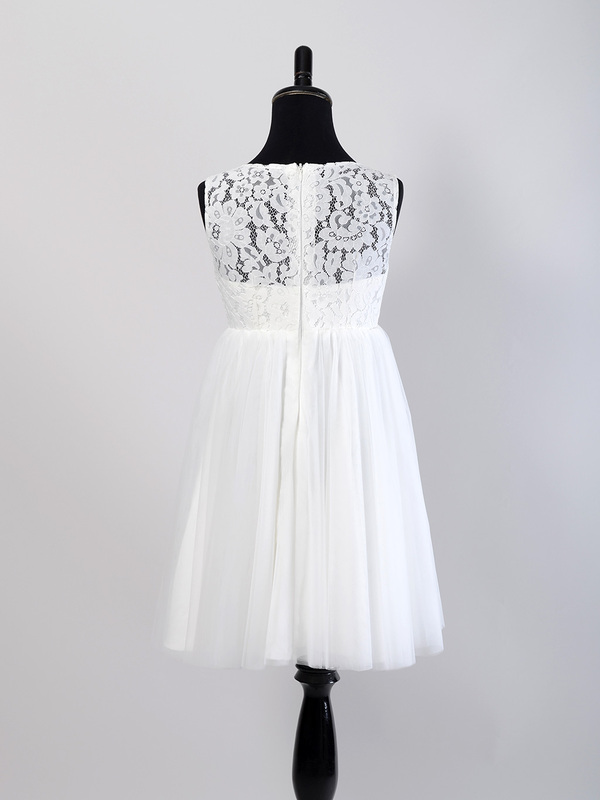 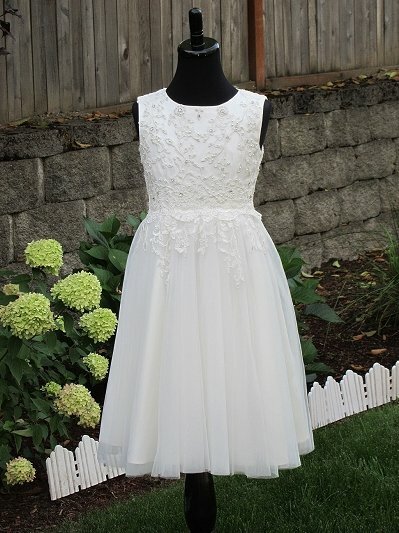 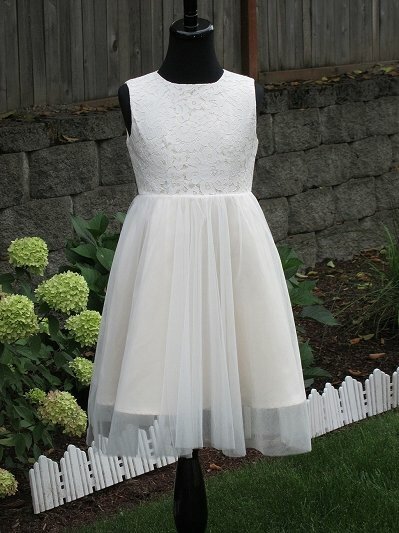 This is an ivory flower girl dress made of cotton lace with soft tulle skirt. 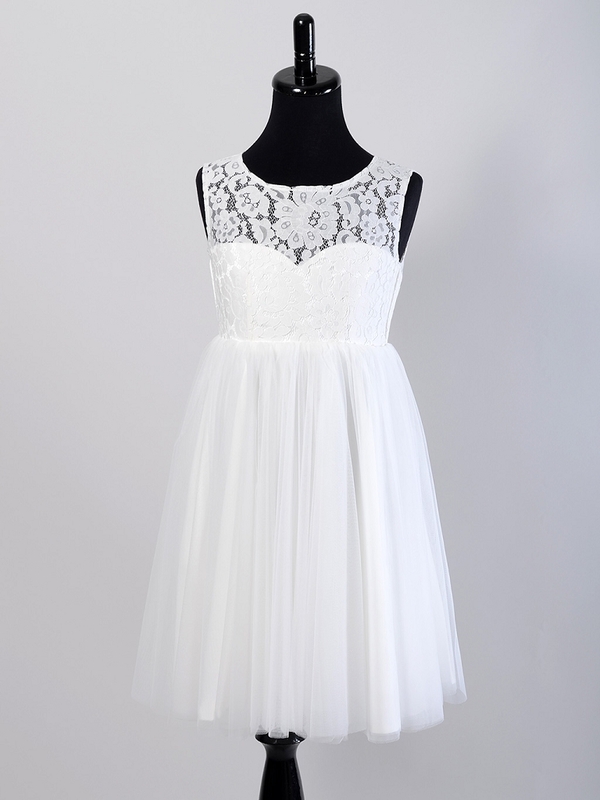 Available in size 3m ~ 10T. 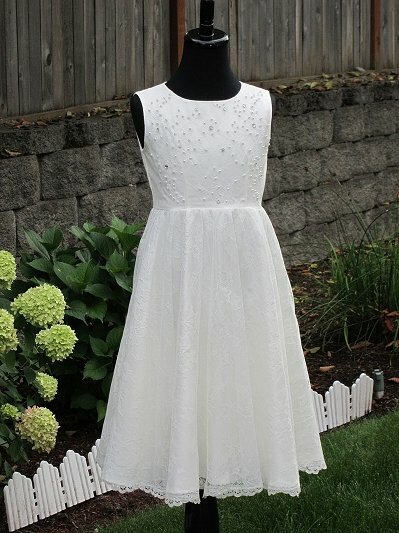 This dress is made to order and the lead time is 2 to 3 weeks.